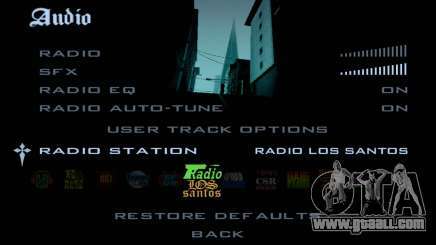 If you’re playing the mobile version of GTA San Andreas, you’re probably wondering how to listen to your own music instead of radio. We’ll show you how to achieve that on iOS and Android. To listen to your own music, you’ll have to purchase it, create a special folder called "GTA SA", put the music in there and choose the User Track Player radio station in the game.If that doesn’t work, launch the game, pause it and go to Options – Audio Setup – User Track Options where you’ll see the correct name of the folder. Then go back to iTunes and rename the playlist. This should do the trick. Unfortunately, Android devices don’t have that function, but you can play your music in the background regardless of the mission and pause it when necessary. You just have to start playing music via browser or any other app and launch the game. If it pauses, just access the notification shade and put it back on again. Enjoy!